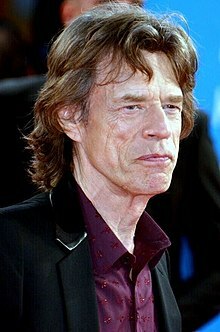 Sir Michael Philip "Mick" Jagger (born 26 Julie 1943) is an Inglis sangster an sangwriter, the lead sangster an ane o the foondin members o the Rolling Stones. ↑ "Mick Jagger". Front Row. 26 December 2012. BBC Radio 4. Retrieved 18 January 2014.